Distributism - a political creed popularised last century by Hilaire Belloc and G.K. Chesterton - is a decentralist alternative to monopoly capitalism and state socialism. It favours a "society of owners" - that is, one with a more widespread distribution of wealth, property and economic enterprises. 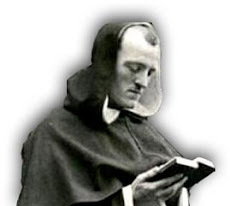 Damian Wyld looks at Distributism's origins, its continuing appeal and its lessons for today. The Industrial Revolution was a time of profound change in many different ways. In 19th-century Britain, as in other Western nations, the race of rapid industrialisation precipitated the growth of urban centres, matched by a corresponding decline in rural life as people left the land to look for work in the factories. Increasing work hours, coupled with decreasing pay, conditions and the general standard of living, resulted in a widened gap between rich and poor. A variety of socialist groups came into existence to propose remedies to these social evils. Among them were various Christian Socialist groups; followers of thinkers as diverse as Karl Marx and William Morris; and of course the well-known Fabian Society which numbered among its leaders famous figures such as George Bernard Shaw, Sidney and Beatrice Webb and H.G. Wells. We know, with the benefit of hindsight, what an abject failure socialism turned out to be. So it is interesting to look at other proposals which offered an alternative to the extremes of both state-run socialism and unbridled capitalism. One such example was Guild Socialism. Originally developed by two Fabians, A.R. Orage and A.J. Penty, it was concerned not merely with material things, but rather that the substitution of machines for individual craftsmanship had led to a loss of spiritual well-being in the community. Guild Socialism never gained much support, however, and it gradually faded from the ideological scene between the world wars. Another important response to the problems of 19th-century industrialism came from the rich tradition of social and political thought contained within Catholic social teaching. Although its contribution has tended to be relatively neglected in political debate, it nevertheless has great significance and continues to have ramifications today. In fact, even in the 19th-century, Catholic social teaching had a direct effect on some important ideas and movements which were still in their embryonic stages. A number of papal encyclicals, such as Pope Gregory XVI's Mirari Vos (1832) and Bl. Pius IX's On Current Errors (Quanta Cura) (1864), tackled the twin errors of extreme individualism and collectivism. Possibly the greatest papal pronouncement on these issues was Pope Leo XIII's 1891 encyclical, On the Condition of the Working Classes (Rerum Novarum). It not only built on its predecessors' condemnations of false ideas, but took the radical step of supporting trade unions and offering practical guidelines for alleviating social evils. Two men who took up the challenge to devise a political program based on these principles were the well-known writers, Hilaire Belloc and Gilbert ("G.K.") Chesterton. Belloc was born in France in 1870, shortly before he and his family fled from Paris to escape the invading Prussians. Despite the Belloc family's emigration to England, Hilaire still returned to France for national service and throughout his life remained loyal to the ideal of French - and Catholic - culture. At Oxford, he had a distinguished career as a history student, become president of the Oxford Union and made a name as a public speaker. He was elected to parliament in 1906, first as a Liberal and for a short time as an independent before retiring in 1910. His growing disillusionment with party politics, economics and society in general led him to write in 1912 possibly the greatest work of his long literary career - a work which led directly to the emergence of the Distributist movement - namely, The Servile State. He later expanded on these ideas in other notable works such as The Crisis of Civilisation (1937). 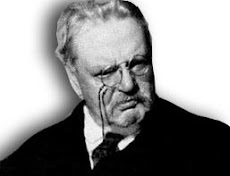 Chesterton was born in London in 1872 to a middle-class family. During his childhood, his parents were unfortunately caught up in the then society craze of spiritualism. Although nominally an Anglican, G.K.'s early life was plagued by a sort of "spiritual crisis" – perhaps a mirror to the widespread "fin de siècle" attitude of despair prevalent among British intellectuals at the time. In matters of politics, he initially joined the Liberal Party while his younger brother Cecil became a socialist. In matters of religion, he went through stages of scepticism before settling for a time on an acceptance of the general truth of Christianity. It would take several decades and major events in his life - and probably the influence of his good friend Belloc - to finally convert him to Catholicism. 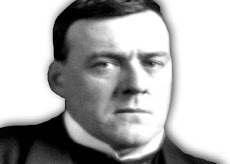 It was during his time as a "wandering" Fleet Street journalist that he was first introduced to Belloc. They immediately became good friends and had much in common in their manner of thinking. George Bernard Shaw was later to collectively name them the "Chesterbelloc": a sort of two-headed creature formed of two distinct, yet inseparable parts. While Belloc's influence over Chesterton's social thinking is probably undeniable, Chesterton was sometimes ahead of his friend in progressing towards definite goals. For example, his very influential What's Wrong With the World - published two years before The Servile State - pre-empts many of Belloc's ideas, although in a different guise. His book also tackles the deeper issues of property, proprietorship and the state of the common man. At the root of Distributism lies the conviction that there is (to paraphrase Chesterton) something wrong with the world. Modern man may be politically free, but he is certainly not economically free. The modern worker has been subjected to a form of economic servitude and is now a "wage slave" (a term known to us, and used by Belloc). According to Belloc, the process began in the last days of the Roman Empire when the then widespread practice of usury destabilised society. The decline of Roman institutions stood in stark contrast to the continuing spread of Christianity throughout the period. However, while critics like Edward Gibbon argue that this was not a coincidence (in other words, that pagan Rome was supposedly weakened by the influence of Christianity), Belloc argued that Rome was already doomed and that Christian culture actually salvaged what it could. The new society which subsequently emerged was gradually influenced by Christian social thought with the result that slavery, whilst not forbidden, came to be viewed as being incompatible with a free Christian society. Through the Dark and early Middle Ages, according to Belloc, the serfs' social and economic condition slowly improved until there was a recognised status between worker and landlord. The serf worked so many days a week on his lord's lands, but then had the remainder of the week to work his own land for a profit. During these times one of the most important institutions (in the eyes of the Distributists) arose - the guild. It seemed as though, through improvement in the conditions and social standing of the worker and the establishment of regulatory bodies such as these guilds, the economic and social stability of Christendom was assured. "The Socialist says that property is already concentrated in Trusts and Stores: the only hope is to concentrate it further in the State. I say the only hope is to unconcentrate it; that is, to repent and return; the only step forward is the step backward." "We can now only avoid Socialism by a change as vast as Socialism. If we are to save property we must distribute property ... If we are to preserve the family we must revolutionise the nation." Neither Belloc nor Chesterton ever presented their ideas as a utopia - they were far too commonsensical for that. They also acknowledged that realising a Distributist State would be a long and arduous process, only achievable by the firm commitment of long-term government policy and the will of a majority of society. The greatest existing example of how Distributist ideas can and have been put into practice is the famous Mondragon Cooperative Corporation in the Basque region of Spain. While not avowedly Distributist itself in name, its governing principles certainly are. It saw its beginnings in 1956 when a Basque priest, Don José María Arizmendiarrieta, inspired five young engineering graduates to borrow money and begin an enterprise producing oil stoves and paraffin heaters. Rapid success and the need for further investment saw them establish a cooperative bank which, in turn, saw the multiplication of associated cooperatives. Today it consists of 160 flourishing cooperatives, owned and managed by the workers employed in them. Together they form the largest business group in the Basque region and their annual sales total more than US$6.5 billion. Mondragon's remarkable track record explodes the myth of the limited capabilities of the smaller unit and of individuals acting in cooperation rather than competition. It moreover shows Distributist principles (in the words of one US commentator) "[flying] in the face of the Hobbes-Smith tradition which holds that the 'rational' economic person acts out of pure self-interest" - and furthermore proves that these principles can be applied to industrial concerns of any scale. Where does this leave us today? Of what possible relevance to us are the common ideas of a century-old papal encyclical, two eccentric Englishmen and an obscure Basque priest? (i) Leo XIII proposed the principles - a set of guidelines for a more just social and economic order. (ii) Belloc and Chesterton are often said to be the prophet and missionary respectively of their creed. (iii) Fr Arizmendiarrieta was a man of similar thinking who took up the challenge and proved through the establishment of the Mondragon cooperatives that it is indeed possible to live without complete dependence on either market or state for one's livelihood. 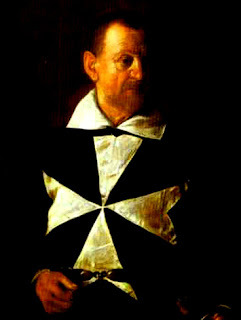 Damian Wyld is vice-president of the Thomas More Centre of South Australia. This article is an edited extract of a paper he delivered at the recent TMC Autumn School in Adelaide.